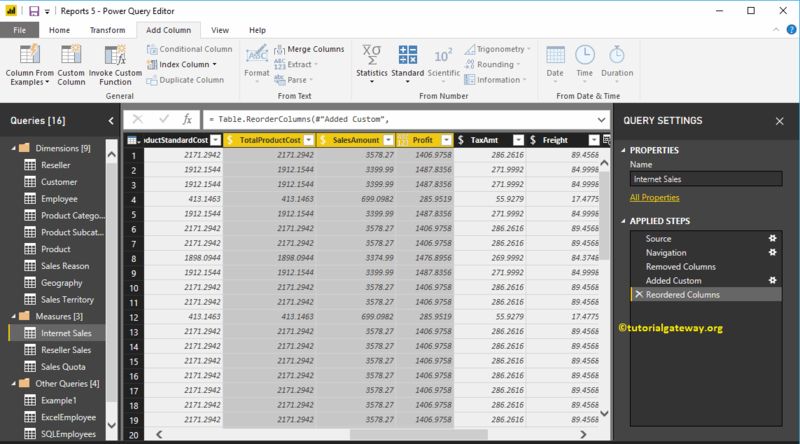 Power BI Custom column generate a new column based on the existing columns. For example, you can use this to calculate the profit or loss etc. 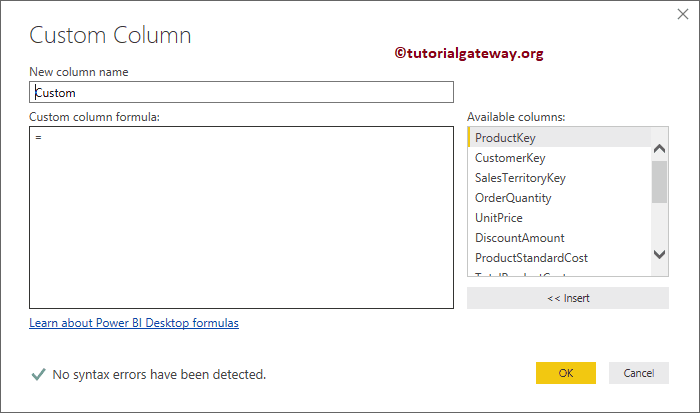 In this article will show you, How to create custom column in Power BI with example. 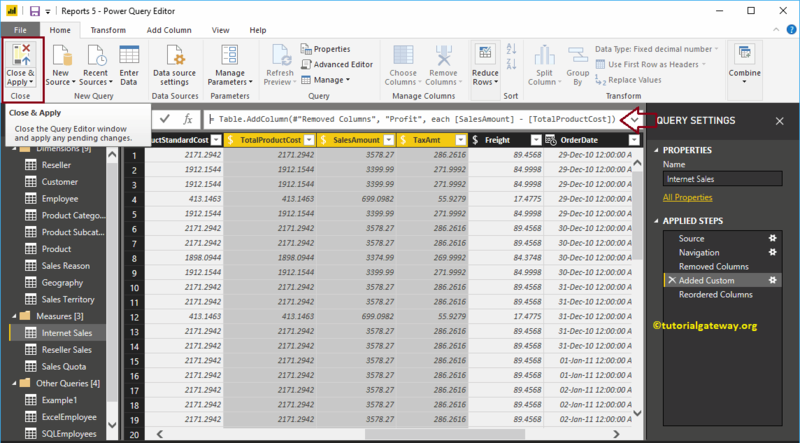 To demonstrate this Power BI custom Column, we are going to use the Internet Sales table that we imported in Connect to SQL Data Source article. 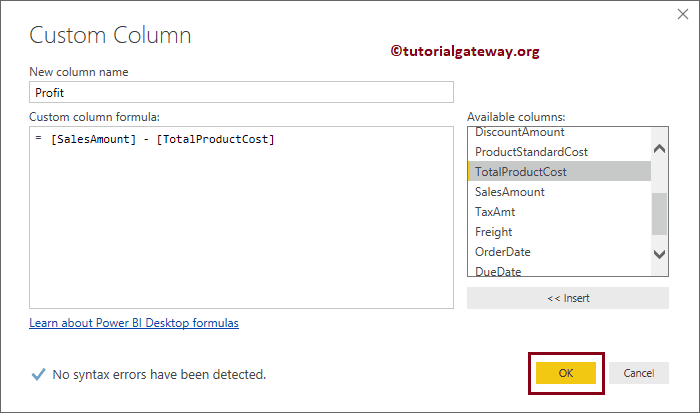 In order to add or create custom column, please click Edit Queries option under the Home tab. In this example, we are going to calculate the profit using the Total Product Sale and the Sales Amount. 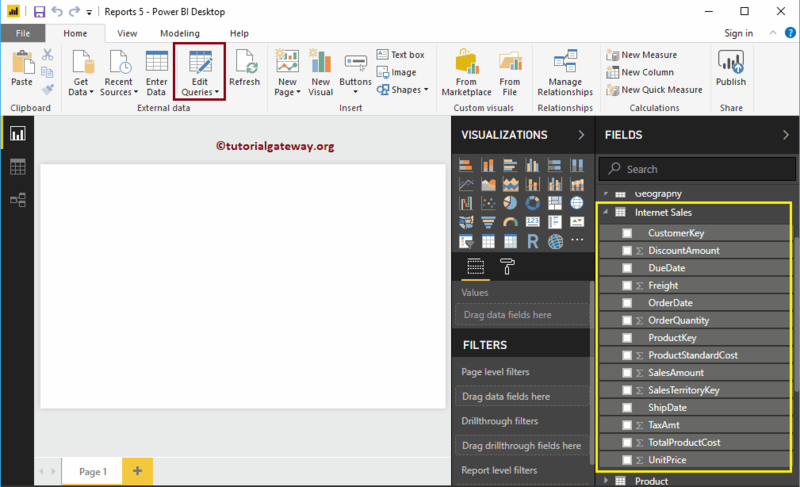 In order to add custom column in Power BI, go to Add Column Tab. Under this tab, please click on the Custom Column button as shown below. Clicking the Custom Column button will open the following window. We changed the Column name as Profit. Next, we are subtracting the total product from sales amount. Hit Close & Apply option under the Home tab to apply these changes.